In these early-on and (let’s face it) ambiguous conversations, social media is an obvious go-to. But, will it bring you the value that you think it will? In working with startups, I’ve noticed many common reasons why social media doesn’t deliver in the way that the team hopes it will. I hate to say it like this - but it’s not social media’s fault either. One of the first mistakes startups make when building a social media presence is to confuse quantity with quality. They often think that having thousands of followers is the key to success, and will "buy" followers from social media agencies for a fixed price. This might looks good superficially, but it isn't effective in the long run. Very often, these paid-for followers are not relevant to or interested in the business (if they are real people at all), and this will mean very little engagement with your social media content. Instead, save your money and focus on producing fresh, quality, and compelling content that will attract followers naturally and organically. Your focus on social media, as well as in all of your marketing efforts, should be to add value. Post compelling content that will appeal to your buyer in order to earn their trust and attention. Behind every social media account that belongs to your buyer is a living, breathing human. Too often on social media, brands forget this. Sometimes, the human element is ignored in an effort to be formal and professional, other times it is a symptom of being detached from buyer’s needs. Startups that are successful at building a community on social media create quality posts that really resonate with their target audience. If you want to see more likes, clicks, and shares, think about what your buyer needs and wants. How can you help them? There are some great social media apps on the market today that will take care of all of your social media needs. In one click, you can share the same post or message across all of your social media platforms. However, if you are considering the buyer’s needs, you can’t ignore that each social network is different. Although social media apps are GREAT and I highly recommend using them, be sure to continue to tailor the content of the social media posts to the buyer and how they interact on each social network. 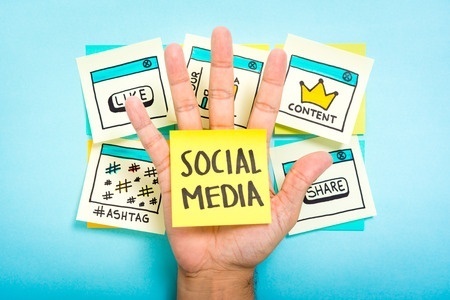 Social media is a great way to connect with your buyer, learn more about your audience’s needs, and promote the content that you are creating for your target market. It can be a great lead source too. No matter which marketing tactics you’re using, the key to success is to lead with what is worthwhile to your buyer. Does it help them? If not, don’t waste your time. Startups, what’s your experience? What have you experienced in using social media to promote your business?